The National Science Foundation announced recently a $6 million award for quantum research as part of its RAISE-EQuIP: Frontiers of Quantum Engineering effort, an initiative designed to push the frontiers of engineering in quantum information science and technology. The funding includes a nearly $750,000 award to the University of New Mexico over three years as part of the overall award. Principal investigator Marek Osinski, a professor in UNM’s Department of Electrical and Computer Engineering and the Center for High Technology Materials (CHTM), will lead UNM’s project, one of eight in the program. 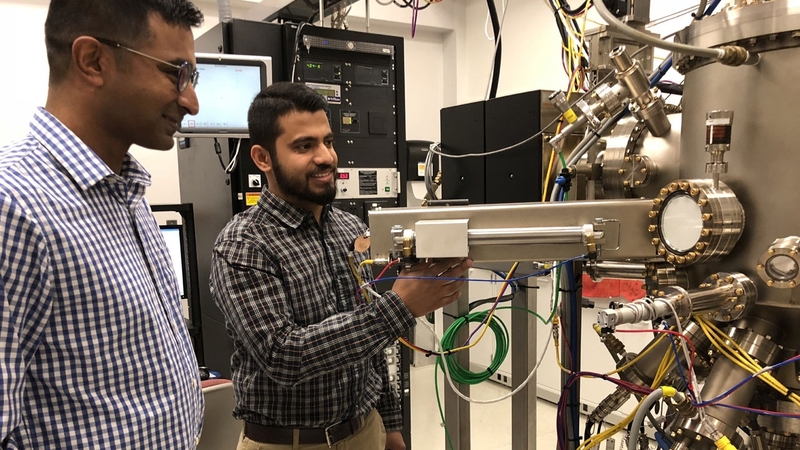 UNM’s team also includes co-PIs Arash Mafi, director of CHTM and professor in the Department of Physics and Astronomy, and Ganesh Balakrishnan, associate professor in ECE and associate director of CHTM. The project also envisages a subcontract to the University of Rochester, with Roman Sobolewski, professor of ECE, as co-PI.